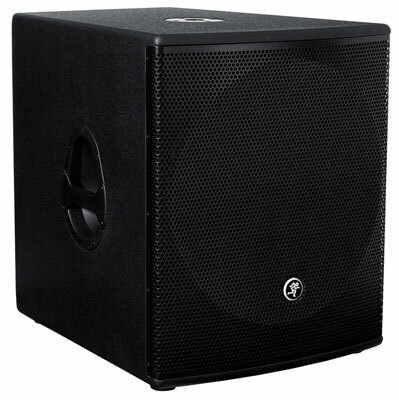 Combination of Mackie SRM 450 Powered loudspeakers, SRM 1801 Sub-woofers, quality wired and wireless microphones and choice of right mixer and processors like EQs, Compressors, limiters / Gates and sound effects equipment can make a very good PA system for large venues and DJs etc. 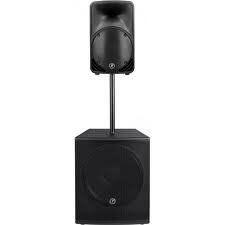 You may call us directly to determine the right PA system for your large events. 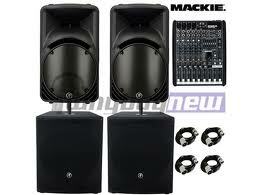 Mackie SRM 450 full range loudspeakers provide 450 watts.